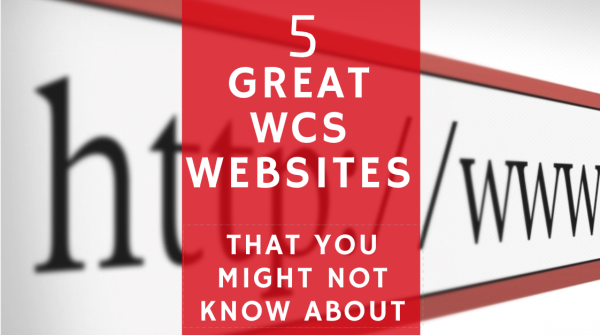 5 Great West Coast Swing Websites that you may not have heard of! I’ve know about this site for a long time! This site looks pretty dated but boy does it contain a lot of information. Sonny Watson has a long history as a champion west coast swing dancer. He was instrumental in helping make West Coast Swing the state dance of California. He is a walking encyclopedia of WCS and his website is the same. There is plenty of history of everything swing related on this site. Dance etiquette, technique history and more. You’ll find your self getting lost in topics that you didn’t even know you wanted to learn about. Happy hunting! This site is run by Eric Jacobson. He is an accomplished dance instructor specializing in technique, partnership, and musicality. He is well-known for his fun, engaging teaching style and his articulate, detailed instruction. Eric has been dancing since the winter of 2000, when he learned lindy hop, ballroom, and latin. Two years later, he began his study of West Coast Swing and he quickly moved up the ranks to become a top-level competitor. He infuses important aspects of the social nature of swing into his lessons, including musicality, improvisation, and especially communication. I think you’ll enjoy his site. Do you love watching awesome WCS dancing? Want to search for your favorite dance videos with an easy search function? This is your place. You can search for your favorite Professional and find all their best videos in one place. Pretty cool if you ask me. Skippy Blair started swing dancing in 1938. Enough said! She is widely considered the person to hang the name ‘west coast swing’ on the dance that we all love. She is a teacher of teachers. Her site contains a lot of the core philosophies of west coast swing. She has some interesting blog posts as well as a bunch of products to help you understand the dance more clearly. This site is a must see for any really west coast swing fan! I hesitated including this site because it is a bit controversial. Still I think it contains an interesting view points on the west coast swing world as a whole. It also contains so solid information about the dance, and the dancer. Anyone who takes the time to compile this much information is worth taking a look at. Although I can’t say I agree with a lot of her statements, I think it warrants a peek. I particularly like her ‘Pure WCS’ video section. They are some of my all time favorite routines. This is not a real ‘website’ but it collects a lot of information from Facebook and the web into one easy place. Its run by Renars from Latvia. Yes the country of Latvia. Pretty cool huh? I’ve never met him but I did have the opportunity to teach there many years ago. If you are looking to keep track of Westie events from around the globe or you want to see what questions other Westies are asking then this is a fun stop on the web. Or you can go straight to the Facebook page here. The topics discussed are more based around competitions and events. Topics like technique ect.. seem to get engaged with less so than others. Either way its pretty interesting. Thanks for sharing the resources, Brian.